The joy of learning fills the faces of “Limmudnicks” at a session held during last year’s conference. This year’s gathering will be held on December 4 at Temple Reyim in Newton. This year’s Limmud Boston arrives in Newton in less than two weeks, and that means that founder Steffi Karp is in permanent motion. “There are so many moving parts to Limmud Boston,” exhales Karp, her voice glowing with excitement. Karp knows how to work the media masterfully now that she’s producing her seventh edition of the celebration of knowledge and Jewish ideas that is Limmud Boston. Like a presidential candidate, Karp thinks nothing of ignoring the intent of a question and substituting her own agenda, and when told that time is running out for our interview she launches another pitch, speeding up instead of winding down. “Who’s our newest Jewish Nobel Laureate?” Karp asked, pausing for only half a beat.  “Bob Dylan,” she says, answering herself before anyone else might process the question. She then starts talking up a session hosted by Cantor Jeff Klepper from Temple Sinai in Sharon titled, “Bob Dylan’s Jewish Blues.” Klepper is said to perform a deadly accurate Dylan impression. 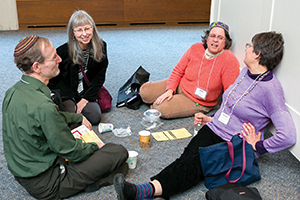 Conference participants enjoyed a friendly lunch on the floor at the most recent Limmud Boston conference. “That’s very Limmud-like – you know, finding a space and making it yours,” according to event organizer Steffi Karp. 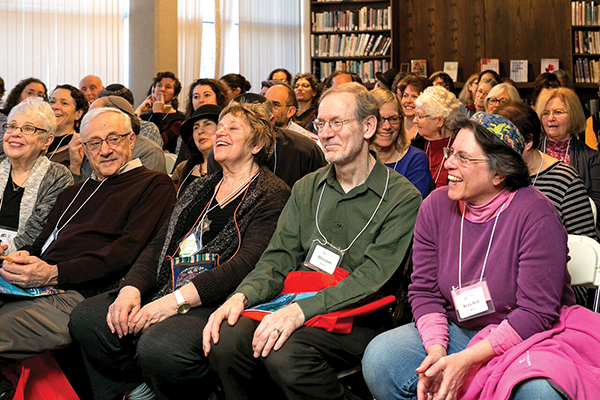 This year’s Limmud Boston, an all-day, once a year celebration of Jewish life-long learning, takes place December 4 at Temple Reyim in Newton. The last five years it was held at Congregation Mishkin Tefila, which moved from Newton to Brookline several months ago. There are 82 such Limmud conferences held around the world. The Limmud Boston program also includes “Camp Limmud.” Learn more at LimmudBoston.org. There is also “Camp Limmud,” which offers similar programs for kids, with some of the adult presenters put into service hosting sessions targeted at young people of different ages. 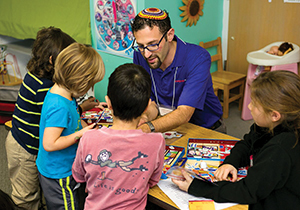 Combined Jewish Philan­thropies helps subsidize the educators attending.